In many ways human connection has become a luxury in our modern, digital world. The ReCreation Pavilion is designed with the understanding of the profound importance of real and personal interactions to a healthy and creative lifestyle. The design is a contemporary twist on the classic belvedere or gazebo. The open format figuratively and literally creates a dialogue with and within the surrounding context. The distinctive form of intersecting planes creates a dramatic sculpture element, while framing the landscape and providing shade. The pavilion is clad in warm timber finishes accented with stainless walls. The ReCreation Pavilion is place for socializing, dining or simply taking in the view—whether urban or rural. 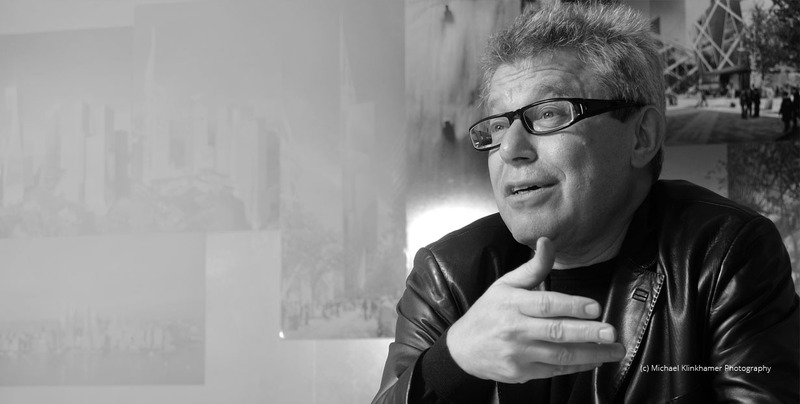 Daniel Libeskind is a world-renowned, award-winning architect. He has been designing major cultural, commercial and residential projects around the globe since 1989. Fundamental to his approach is the notion that buildings are crafted with perceptible human energy and must address the cultural context in which they are built.